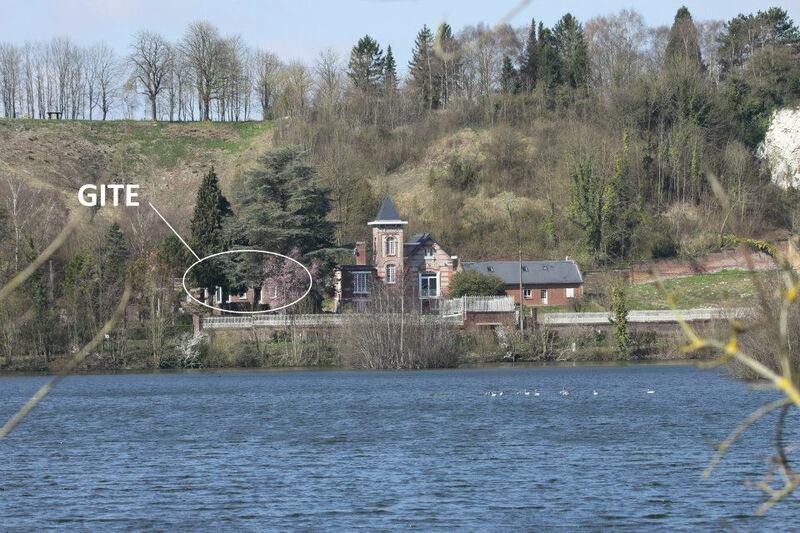 Ideal gîte for 4 people in (truly) outstanding setting. Lots of living space for families (even a games room for children!). Terrace and garden overlook a patchwork of little lakes in the Somme valley, a magical 180° view right before your eyes ... to be enjoyed from dawn to dusk. Plus points: mountain/track bikes available, all-inclusive price. Pascal and Sandra welcome you to their gîte for 4 people in unspoilt, peaceful setting near La Barette lakes where the play of light produces endless colour changes. Ground floor: large living room with lounge area (TV, DVD), kitchen/dining area, shower room, separate WC. 1st floor: large landing leading to 2 bedrooms (double bed) (2 single beds), room (sofa bed), games room.|Terrace and garden with view of lakes. BBQ, outdoor furniture. 2 mountain bikes, 2 track bikes.